Apple has confirmed recent reports that it plans to open an expansive new development office in India, revealing that the facility will serve its Maps team as well as "ambitious efforts locally." 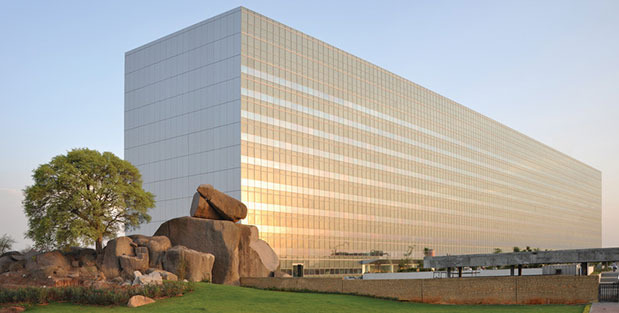 "We are looking forward to opening a new development office in Hyderabad that will be home to over 150 Apple employees supporting maps development," Apple said in a statement issued to the India Times. "The office will also have space for many contractors who will support our ambitious efforts locally." Apple is reportedly still awaiting government approval to operate in the APIIC IT/ITES Special Economic Zone, after which the company will formally sign a memorandum of understanding. A $25 million investment will net Apple 250,000 square feet at the WaveRock campus. It's not yet clear whether the company will take space from the existing building or work with landlord Tishman Speyer for a custom solution in the campus's second phase, though the latter seems more likely. The Hyderabad facility will be Apple's first major technical center in India, joining at least seven other sites outside the U.S. The company is also known to operate research and development facilities in the UK, China, Taiwan, Japan, and Israel.